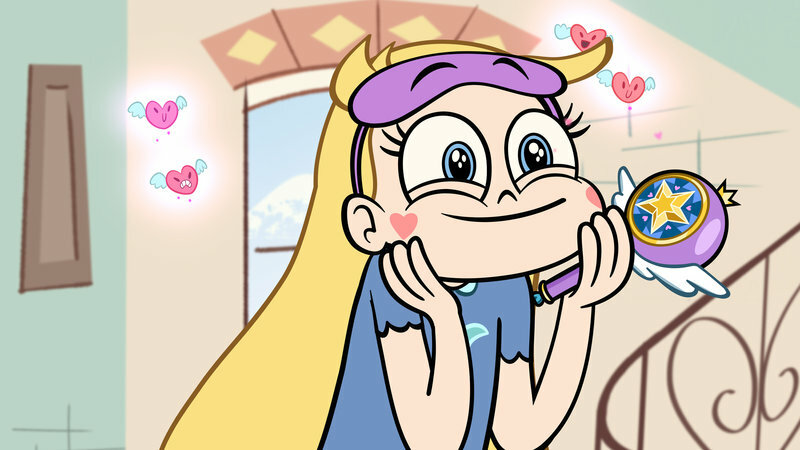 STAR VS. THE FORCES OF EVIL - "Star Comes to Earth" - As tradition dictates, Star receives the royal magic wand for her 14th birthday, but her parents worry that she is not ready for the responsibility and send her to a place they deem safe ? Earth. 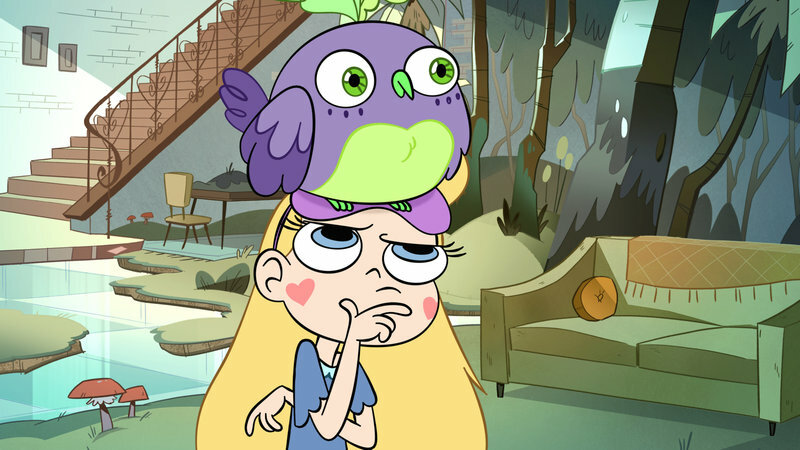 This episode of "Star vs. The Forces of Evil" premieres Sunday, January 18 on Disney Channel (9:00 p.m., ET/PT). 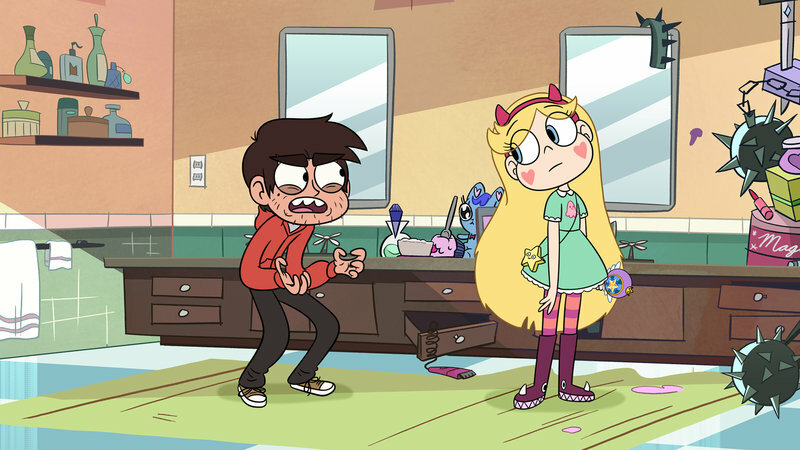 (Disney XD) STAR, MARCO – Bild: 2014 Disney Enterprises, Inc. All rights reserved. Original-Erstausstrahlung: So 18.01.2015 Disney Channel U.S.
STAR VS. 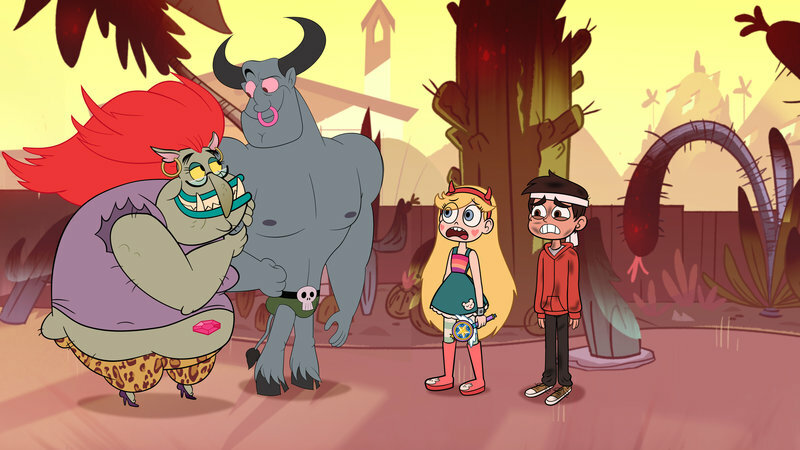 THE FORCES OF EVIL - "Matchmaker" - In an effort to get a better grade on her math test, Star offers to help her teacher Miss Skullnick with her love life but accidentally turns her into a troll. This episode of "Star vs. 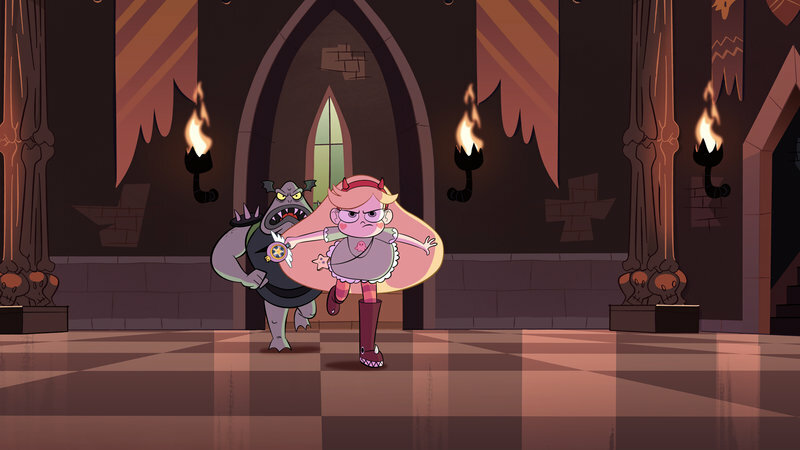 The Forces of Evil" premieres Monday, March 30 (8:30PM - 9:00 PM ET/PT) on Disney XD. (Disney XD) MISS SKULLNICK, EMMITT, STAR, MARCO – Bild: 2015 Disney Enterprises, Inc. All rights reserved. 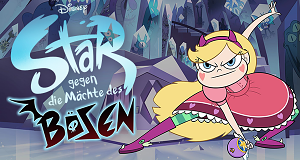 Original-Erstausstrahlung: Mo 30.03.2015 Disney XD U.S.
STAR VS. THE FORCES OF EVIL - "The Other Exchange Student" - The Diaz family's charming former exchange student, Gustav, comes to visit and Star is convinced that he has an evil motive for returning. This episode of "Star vs. 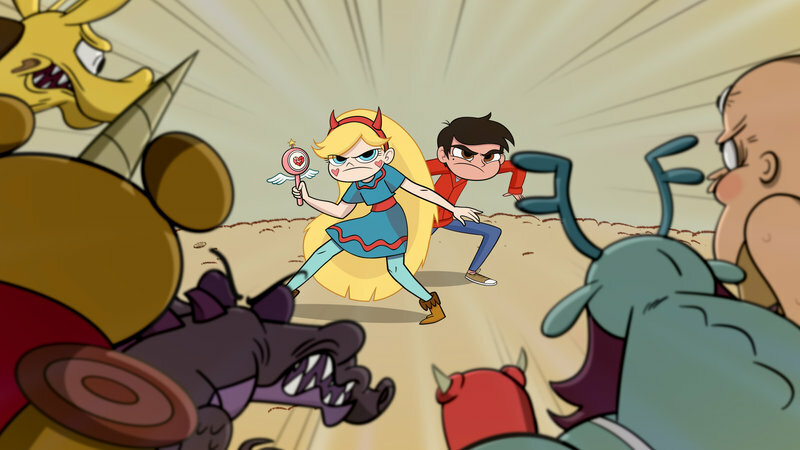 The Forces of Evil" premieres Monday, April 6 (8:00 p.m., ET/PT) on Disney XD. 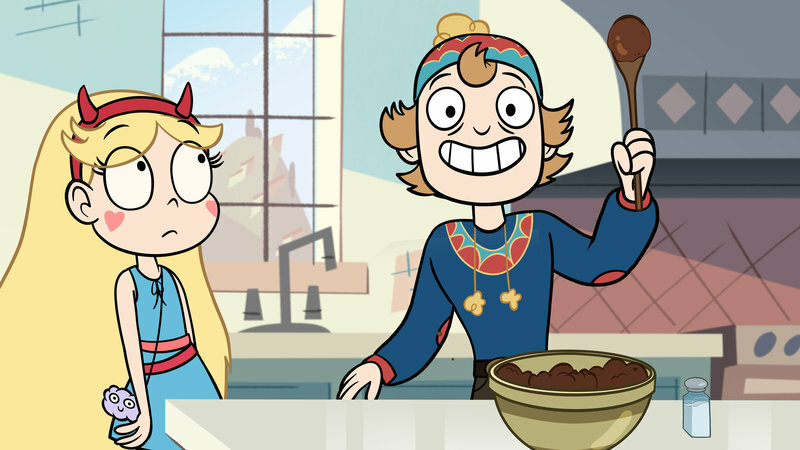 (Disney XD) STAR, GUSTAV – Bild: 2015 Disney Enterprises, Inc. All rights reserved. 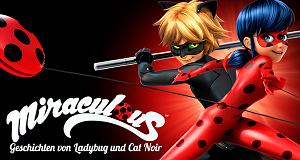 Original-Erstausstrahlung: Mo 06.04.2015 Disney XD U.S.
Original-Erstausstrahlung: Mo 13.04.2015 Disney XD U.S.
Original-Erstausstrahlung: Mo 20.04.2015 Disney XD U.S.
Original-Erstausstrahlung: Mo 15.06.2015 Disney XD U.S.
STAR VS. THE FORCES OF EVIL - "Sleep Spells" - When Star "sleep spells," Marco tries to use psychology to cure her, but her nocturnal magic turns out to be her subconscious defenses against an interdimensional criminal trying to steal her face. This episode of "Star vs. 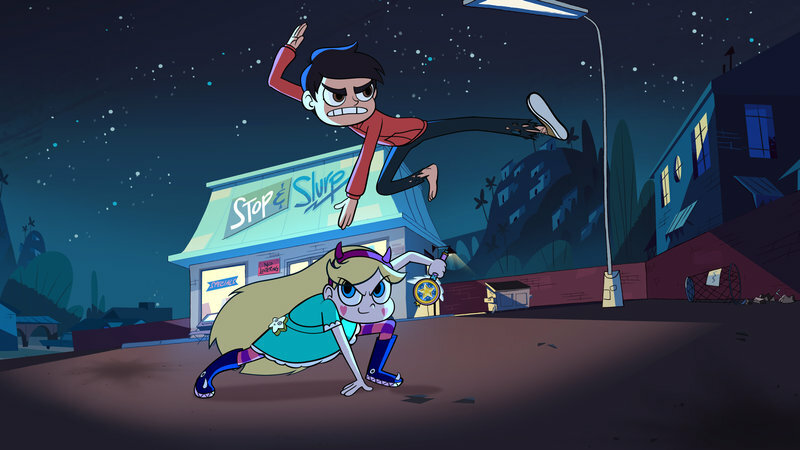 The Forces of Evil" will air Monday, June 22 (8:30 PM - 9:00 PM ET/PT), on Disney XD. 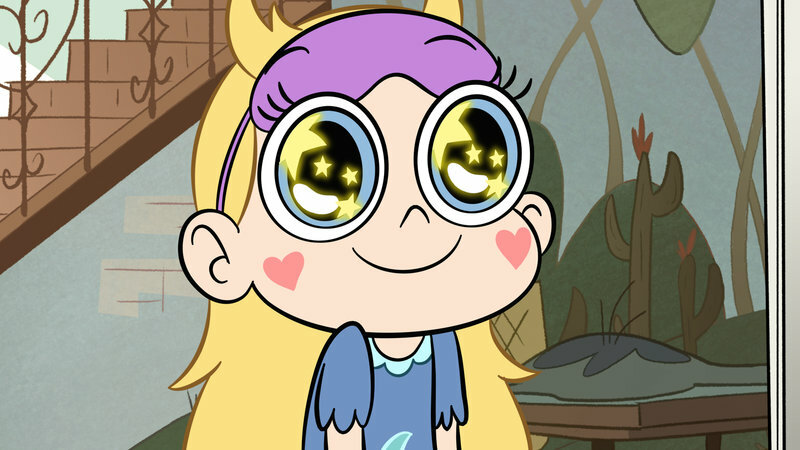 (Disney XD) STAR – Bild: 2015 Disney Enterprises, Inc. All rights reserved. 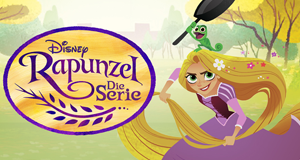 Original-Erstausstrahlung: Mo 22.06.2015 Disney XD U.S.
STAR – Bild: 2015 Disney Enterprises, Inc. All rights reserved. 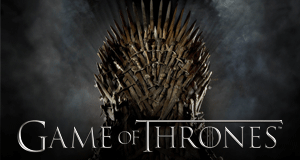 Original-Erstausstrahlung: Mo 20.07.2015 Disney XD U.S.
Original-Erstausstrahlung: Mo 27.07.2015 Disney XD U.S.
Original-Erstausstrahlung: Mo 10.08.2015 Disney XD U.S.
Original-Erstausstrahlung: Mo 17.08.2015 Disney XD U.S.
MARCO (L.), STAR – Bild: 2015 Disney Enterprises, Inc. All rights reserved. Original-Erstausstrahlung: Mo 14.09.2015 Disney XD U.S.
BUFF FROG (l.), STAR – Bild: 2015 Disney Enterprises, Inc. All rights reserved. 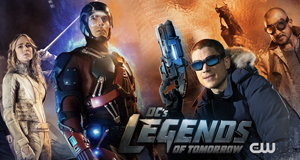 Original-Erstausstrahlung: Mo 21.09.2015 Disney XD U.S.